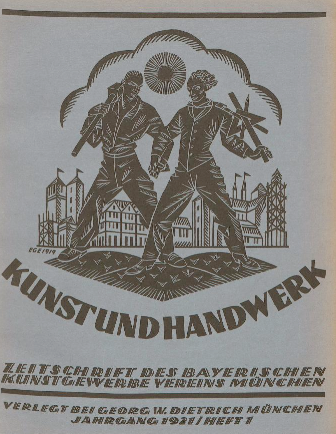 A continuation of Zeitschrift des Bayerischen Kunstgewerbe-Vereins. Contains articles on mainly Bavarian fine and applied art. Covers all periods. Includes articles on Hans Thoma, John Ruskin, ceramics by the Heider pottery, modern poster art, Nikolaus Gysis, the architecture of Emanuel von Seidl, C.R. Ashbee and the Guild of Handicraft, Franz Ringer, Wilhelm Bertsch, etc.